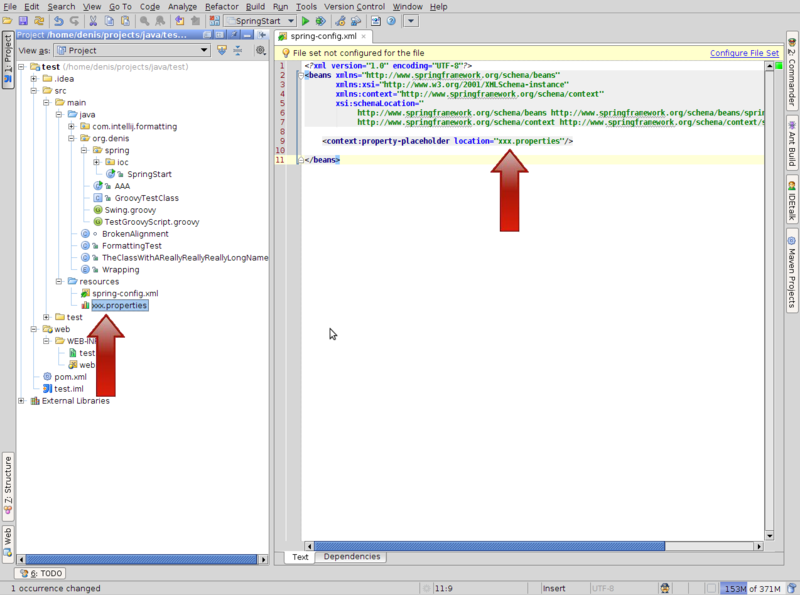 I have noticed that only 'some' properties files are included in refactorings. 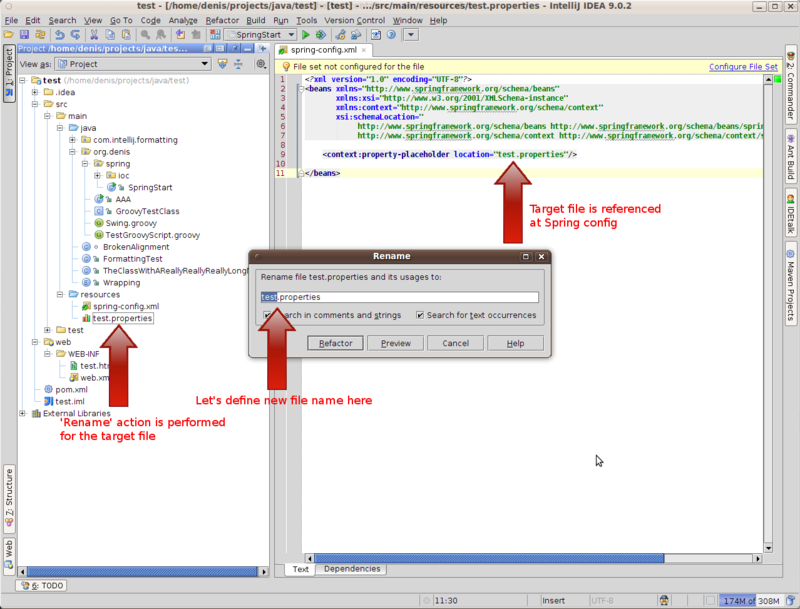 Is there a way to make sure that a properties file is considered when renaming or when doing a safe delete? I have properties files in special directories that sit outside my project. I have added these directories as 'module content root' and I have even set the directories as 'source' even though these directories only contain properties. Something else that might be interesting is that I am using these files with spring. Please try to create a minimal but complete example that illustrates the problem and submit it to IDEA tracker. file-set and so the mapping was not complete. Ok, cool, glad to see that everything is fine now.